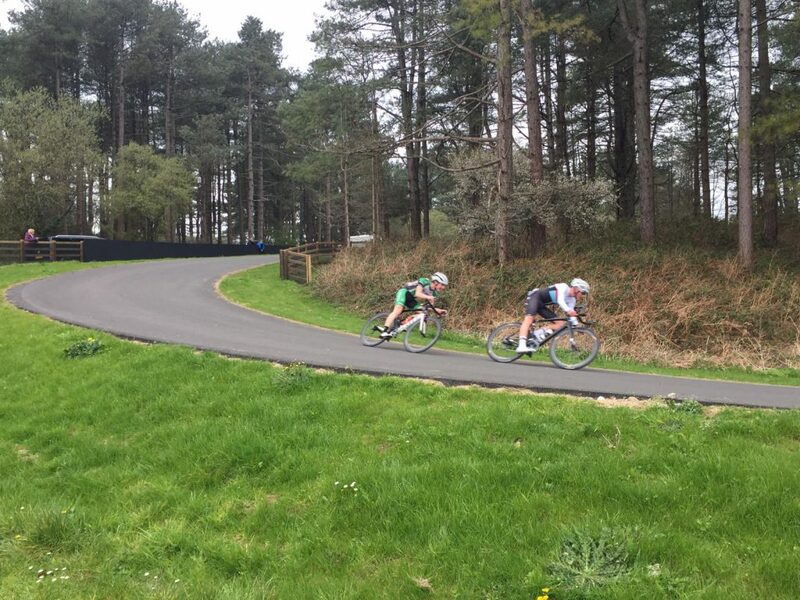 The 2019 National Youth Circuit Series kicked-off with a 2-day stage race at the (nearly) new Pembrey circuit in South Wales country park, scene of the start of the 2018 Tour of Britain. In a field of almost 90 riders in the largest categories, the weekend started with a one lap 1.4km time trial. Competing against some of the best National riders at this level is hard going and Ella, Calum, Mark, and Joe all managed top 10 times. Stage 2 was a 60 mins clockwise race round the narrow circuit. Only the top riders in the field got gridded, the remainder battling to get both wheels on tarmac ready for the off. 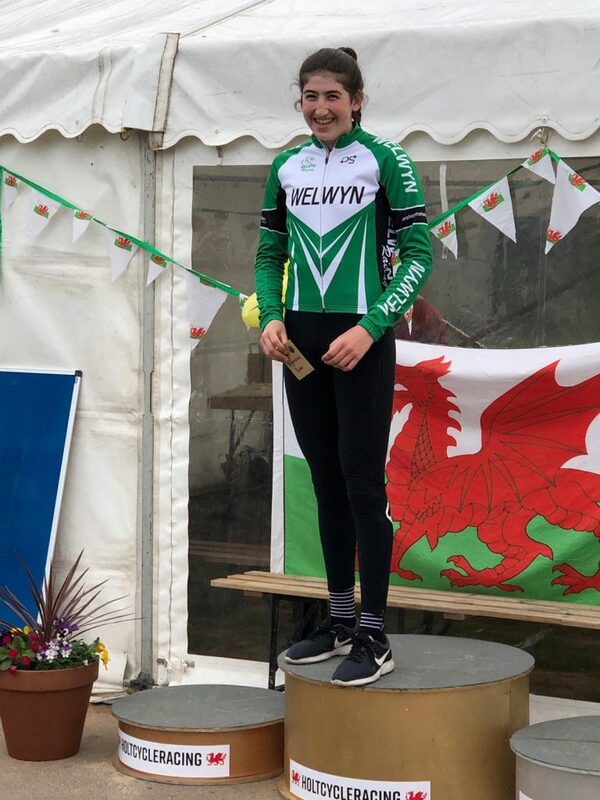 Speeds were high from the gun in all races and the U16 Girls race came down to a brutal bunch sprint, with Ella powering her way to 3rd. 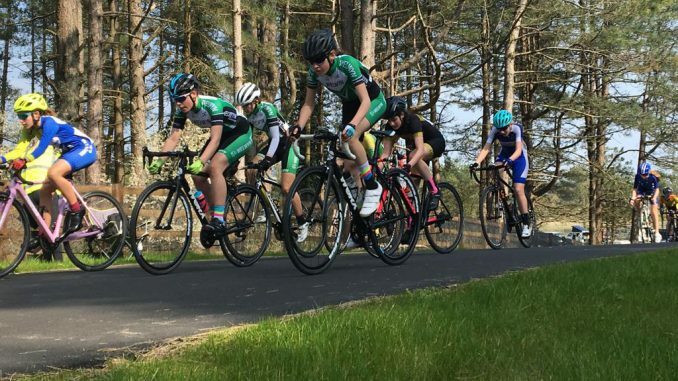 In the U16 Boys race a group of 6 first year U16s, including Nathan Hardy, made an optimistic bolt for freedom of the front to liven things up for around 5 lap before being brought back to the peleton with 60 riders being given the same time in the bunch sprint. Joe and Euan positioned themselves well, getting up to the sharp end of the race to finish 4th and 10th. Nathan paid a little for his heroic efforts earlier to cross the line in 46th position. Day 2 Stage 3 was 90 minutes going anti-clockwise. The small time gaps meant anybody able to make a break stick would reap the benefits. In the U16 Boys it wasn’t long before Joe made his intentions clear, pushing off the front with Tom Lord (Giant Halifax). The field behind was completely strung out – noticeably more than the previous day with small groups of 5 or 6 dropping lap by lap. Joe continued emptying the tank at the front, with a change of partner as Fin Pickering bridged across and replaced Tom, there was soon a gap of 20 to 30 seconds to the main field. Word from local spectators was that they had never seen a break succeed on this circuit since it opened last summer. Fin was obviously unaware of this as he wanted “to make this a real race”. 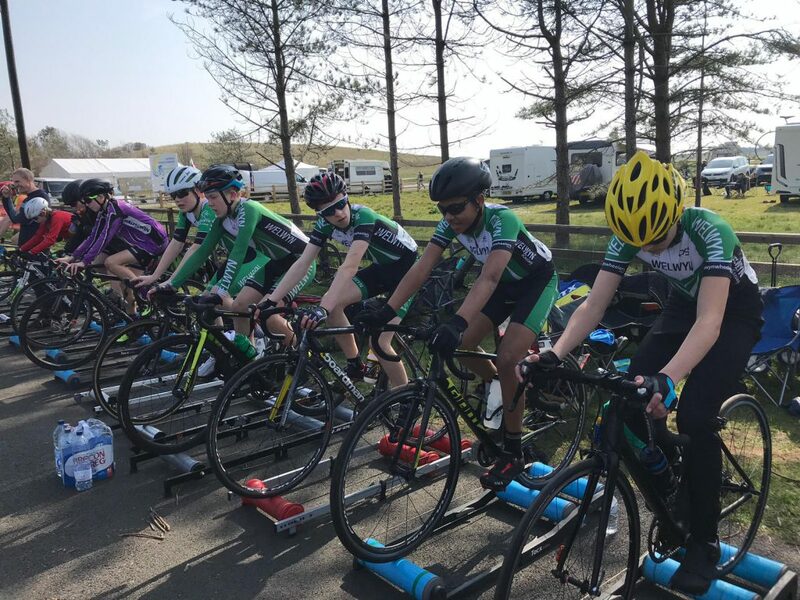 Incredibly, they stayed away for over an hour until eventually the initial effort of chasing the race leader finally took its toll on Joe who eventually had to concede the race as Fin Pickering pushed on to a fine solo victory, but Joe was rightly rewarded with the combativity prize. Almost inevitably there was a crash on the last lap as the bunch raced for position. Euan avoiding the carnage finished in an excellent 11th place, Nathan 35th on the same bunch time and Joe 46th living to fight another day. Only 67 of the 84 starters finished the race due to fatigue and spillages. Our correspondents report that ALL the Welwyn riders were very impressive: excellent preparation, effort and skill – and they should all be very proud of their results; secondly (and not for the first time) there was a great team spirit between the Welwyn riders which must help individual and collective performances; thirdly (and without detracting in any way from the other fantastic performances by all Welwyn riders over the weekend) Joe Keily’s final stage attack was one of the most amazing efforts seen by those watching.